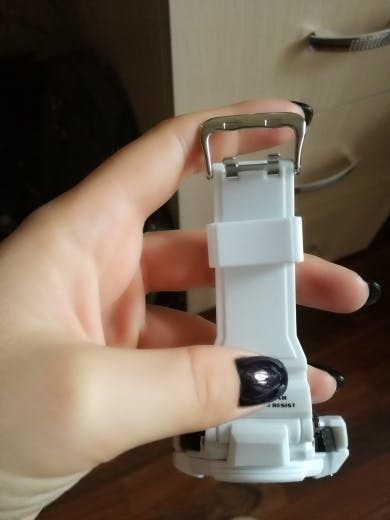 I bought it for myself, i use it everyday and it still looks like brand new, very solid watch and fits me like a charm. 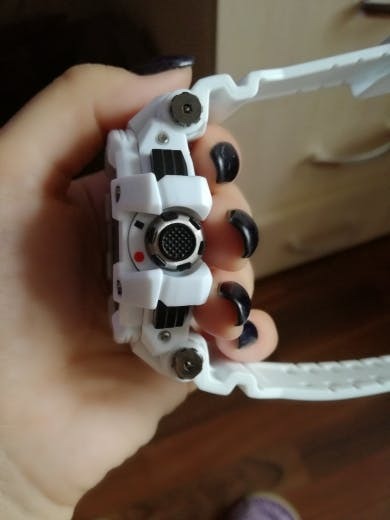 I bought it for my bf, he loves it so much, it's so millitary looking, also he tested it in the glass of water and after 1 hour it still wokrs. Looks so masculine! 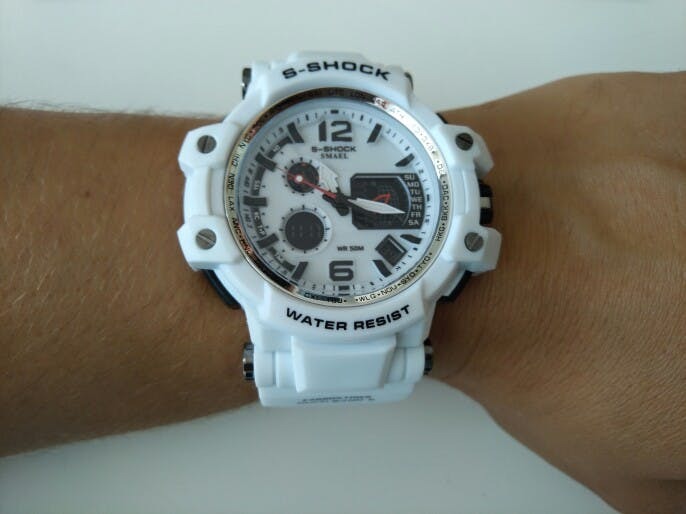 Totally love it on my husbands wrist. 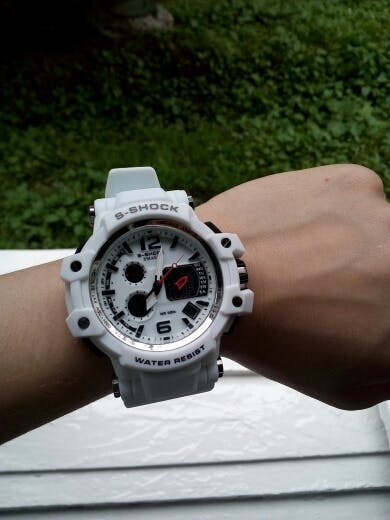 Btw last weekend had a chance to try it in water 2 times and water resistance is great! Terrific Watch. 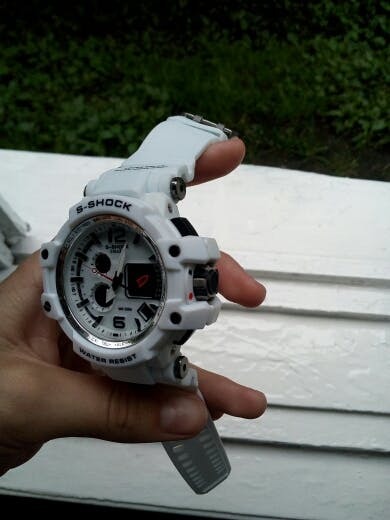 I have a couple G-shock's, and this is right at that level. 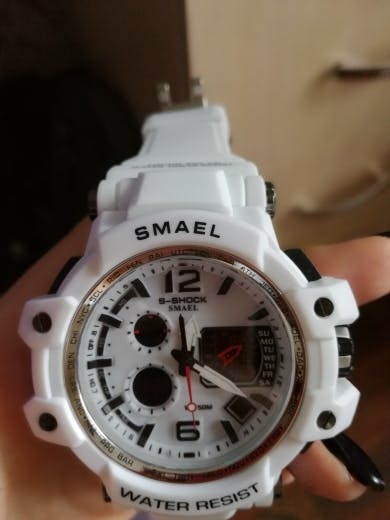 Definitely a solid watch I use while training tactical. 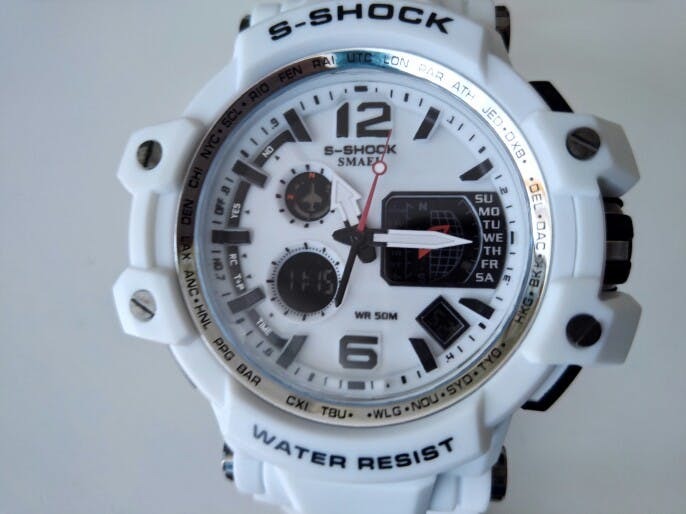 For the price on these, they are a great watch. They're really lite weight, but big in size. Time keeping is good. 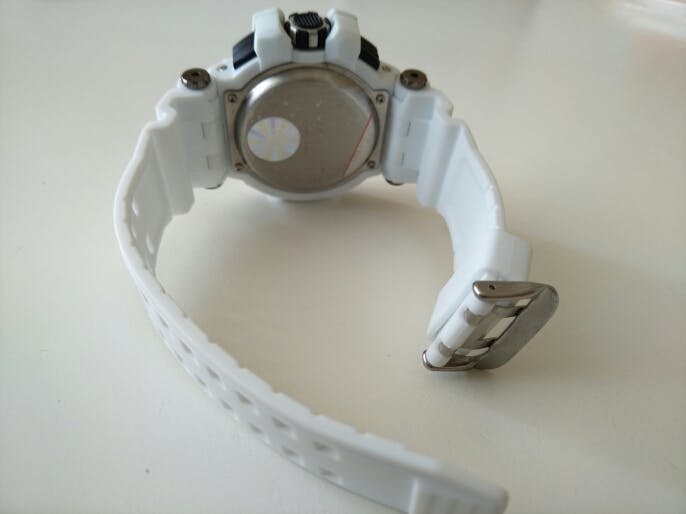 I submerged mine in a glass of water for 3hrs and had no problems with ingress of water.